A unique spell point system replaces slots, allowing you to use the spells you know and love from the PHB in new ways, with sources of power that allow a character’s spell energy to recover more quickly on his favored ground. Depending on the type of magic you follow, your source of power could be ley lines, mysterious stone circles, cathedrals of worship, fog-shrouded lakes, or the holy land itself. Also included is an 8-page player’s guide to Arthurian Legend, providing players with a basic overview of Arthurian history and major characters. This part serves as the companion to the Knight’s Handbook, giving the GM all the tools he needs to run a vivid, exciting campaign of Arthurian legend without a lot of work. 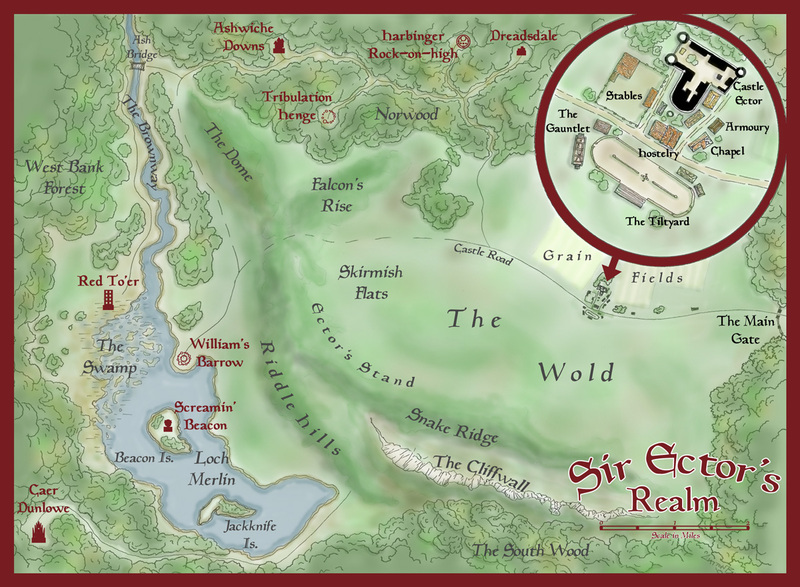 This section deals with all the big issues with running a game set in the world of Arthurian legend: evoking the right atmosphere, new rewards for players, and a guide to converting published adventures. Statistical blocks for all the new core classes from the Knight’s Handbook are given through 20 levels of experience, DMG style. New special abilities for magic armor and weapons, tied to the Excalibur nobility and quest systems. Also in this section, full statistics and descriptions of the items Arthurian legends are famous for: Excalibur, the Round Table, the Holy Grail, and many more. 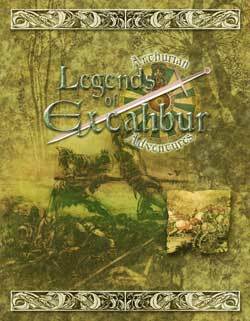 An overview of Arthurian legend for the GM, with campaign tips for each of the three main eras of play: Rise of Arthur, One Brief Shining Moment, and Dream’s End. This section is designed for one thing: make the GM’s life easy. 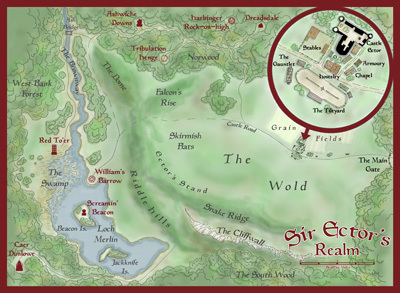 From numerous short quests, designed to take as little as an evening of play, to campaigns that could be the focus for months of game play, this section provides plot hooks, and numerous NPCs drawn straight from Arthurian legend to enhance the campaign and take away much of the grunt work. A selection of new monsters, as well as give the GM tips on what monsters to include from published sources.